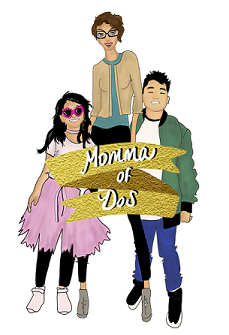 There came a time when my kids were first born that I had to go back to work and times became extremely busy. I was very lucky to have my children taken care of by their paternal GrandMother. My Hubby and I always said we knew two things for sure; that the kids were safe and that the kids ate well, all the time. They ate homemade foods for every meal. My Mother-in Law and I started by making our own puree's and baby food. But, I must admit, it became hectic and we both would give in to jarred baby food. 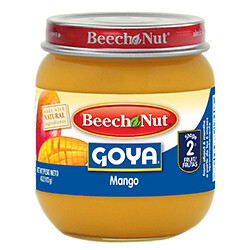 I wish we would have the option of the new Beech-Nut Goya Baby food which has authentic Hispanic flavors such as cereals with banana or rice with mango. Or purees with Apple and Guava or Mango and Apricot. Still to this day as a Working Momma I try to find the best quality foods that will help us save time and money. I believe that the new Beech-Nut Goya baby food products, are a good option. The Beech-Nut Goya products are made not only with authentic Hispanic flavors that your baby will enjoy but also with healthy ingredients that you will approve of, most their products are Glutten Free and meet the dietary needs of any growing baby. They have a good variation of products which come in stages to provide the right about of vitamins for your baby at every growing stage. My children are toddlers now and they enjoy Mexican food and a lot of other Authentic Hispanic food but I personally tasted these baby food and they are definitely Momma Approved and surely your growing baby would approve as well. I recommend them for any Momma. I would surely use them in the future should this Momma decide to have baby numero Tres! I love our culture and our food is a major part of any Hispanic home the more authentic the better. Thank You Beech-Nut Goya products for thinking of such great combinations of foods! Love those flavors. Beechnut and Goya did a great job on those products. I love the Hispanic selection of baby foods! Wish they were around for when mine were babies! Its so cool that beechnut and Goya teamed up!